Building on the foundation of our LifeGuide® Bible Study Series, *A Deeper Look at the Sermon on the Mount* takes your study of Jesus' sermon to the next level with new tools for growth. As you delve into cultural backgrounds, make connections across books and engage in group exercises, you'll come to a deep grasp of Jesus's vision for life. 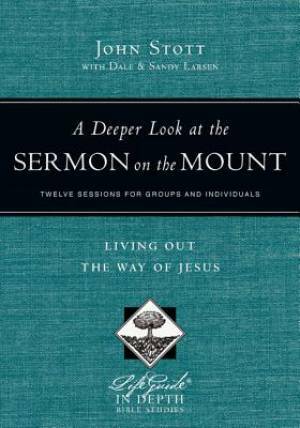 A Deeper Look at the Sermon on the Mount by John Stott, with Dale Larsen and Sandy Larsen was published by IVP Connect in June 2013 and is our 48225th best seller. The ISBN for A Deeper Look at the Sermon on the Mount is 9780830831043. Be the first to review A Deeper Look at the Sermon on the Mount! Got a question? No problem! Just click here to ask us about A Deeper Look at the Sermon on the Mount.